This year’s showhouse is a new, 8,232-square-foot Buckhead estate on a 1.5-acre lot. Inspired by the site, the English country abode features a locally sourced limestone and brick exterior and open spaces filled with daylight. The architects drew from the work of 19th century British architect Sir Edwin Lutyens in creating the five bedroom home, which features a sweeping roof, gables, symmetrical design and a long gallery of windows on the second floor. Two separate stair halls and 11-foot ceilings further open up the space. In the living area, a massive 6-foot-wide fireplace — one of three in the home — befits the grand space and English vernacular. An expansive loggia with a fireplace and separate grilling terrace overlooks the pool and trees in the distance. Join ADAC and Atlanta Homes & Lifestyles for a day of holiday cheer and design inspiration at the Home for the Holidays Showhouse! All ADAC Day of Design presentations are held at the showhouse, and are free with the purchase of a showhouse tour ticket. Over the past 25 years, acclaimed designer Carole Weaks of C. Weaks Interiors has had her fair share of adventures in the world of design. Her timeless style has made for stunning rooms in homes and showhouses —some of which also have hilarious backstories. With her signature sense of humor, Weaks will take a look back at some of her most memorable experiences to explore the good, bad and just plain funny of crafting elegant, high-end interiors. Few things are more exciting and daunting than building or renovating a home. The architect of this year’s showhouse, William H. (Bill) Harrison of Harrison Design and lead showhouse designer, Lauren Davenport Imber of Davenport Designs, Ltd., share expert advice about key things you should expect, critical things to avoid, and other important tips to make your next home project run more smoothly. 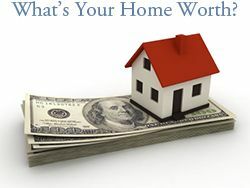 Join in the conversation and learn how to save money, time, and peace of mind while making your next home design dream come true. Join three of Atlanta’s top designers—Kristin Kong of K Kong Designs, Chris Socci of C Socci Inc., and Jessica Bradley of Jessica Bradley Interiors—as they sit down with Mary Stanley of Mary Stanley Studio and Young Collectors Club ATL to discuss how art inspires them, and how they work with clients to incorporate new and existing works of art into their projects. 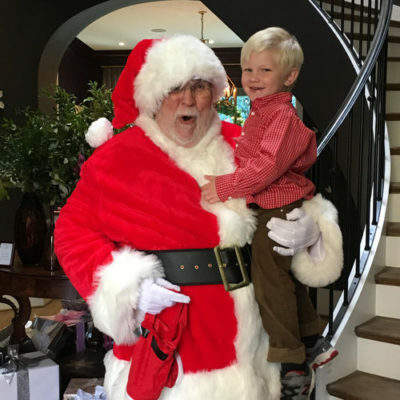 Santa joins Home for the Holidays for a festive holiday weekend, the perfect activity for out-of-town Thanksgiving visitors! Bring the kids, too—cookies and hot chocolate will be served all weekend. Kathryn Davenport, acclaimed floral designer and owner of Forage and Flower, will demonstrate techniques for creating arrangements with jewel-toned blooms and metallic accents. Known for incorporating layers of texture and exotic florals, Davenport will share her tricks for wiring, hand-painting gold leaf, and incorporating items such as pears, air plants and pinecones. Creating a beautiful holiday tablescape can sometimes be a daunting task. Join the experts at Coton Colors, a lifestyle and home decor boutique, to learn a foolproof approach to creating a festive and welcoming holiday table for your guests! Entrepreneur and cookbook author Amanda Wilbanks founded Southern Baked Pie Company in 2012, and her award-winning pies have taken the food world by storm. Meet this creative dynamo, sample one of her creations and learn tips from her new cookbook, Southern Baked Pie: Celebrating Life with Pie, to make your sweet treats best in show this holiday season. Following the presentation, Southern Baked Pie and pies will be available for purchase. Floral, garden and interior designer Zeb Grant of Zeb Grant Designs covers everything from lights to tree-toppers in this interactive Christmas tree decorating demonstration. Join Grant as he shares tips, techniques and favorite resources while answering questions and sharing stories from some of his favorite projects. Step up your giftwrap game with tricks of the trade from the experts at Swoozies Atlanta’s one-stop shop for all things celebratory. Guests will learn all the secrets for developing a theme, adding creative flourishes and presenting a personal, polished gift to make every recipient feel cherished. Whether embellishing the perfect gift or accenting your home’s holiday decor, beautiful handcrafted bows add the perfect finishing touch. In this hands-on workshop, join Lori Hojnowski to learn how to make gorgeous bows and gift tags. 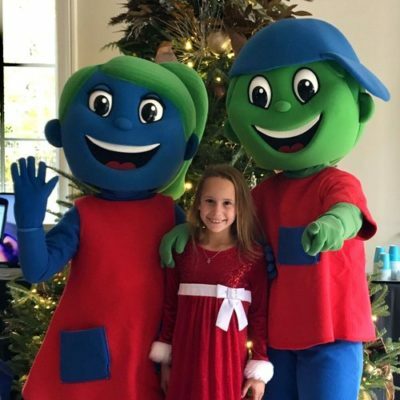 Meet Home for the Holidays’ Honorary Junior Chair Emma Anderson and Children’s Healthcare of Atlanta mascots Hope & Willfor a day full of holiday spirit! Nothing is quite as festive as sparkling wines and champagne for holiday entertaining. Join celebrated Atlanta wine journalist Dennis Attick and media executive, wine enthusiast and WineZag founder Adam Japko for an interactive and informal tasting and discussion of bubbly libations, along with an evening tour of the showhouse. Join nationally acclaimed chef Pano Karatassos of Buckhead Life Restaurant Group for a cooking demonstration and Greek wine tasting inspired by his debut cookbook, Modern Greek Cooking: 100 Recipes for Meze, Entrées and Desserts. Following the program, Modern Greek Cooking will be available for purchase. Join Michiel Perry of Black Southern Belle for a conversation on authentic hospitality with Jen Hidinger-Kendrick, co-founder of The Giving Kitchen and Staplehouse, Bon Appetit magazine’s 2016 Restaurant of the Year. Hidinger-Kendrickwill share anecdotes, insights and tips for making a house a home, whether you’re hosting a holiday party, overnight guests or casual visitors. Home for the Holidays Showhouse proceeds will benefit Children’s Healthcare of Atlanta, the largest healthcare provider for children in Georgia and one of the largest pediatric clinical care providers in the country. CHOA works to make kids better today and healthier tomorrow through philanthropic support. 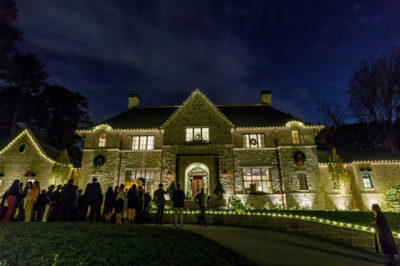 More information on the 2018 Home for the Holidays Designer Showhouse & Marketplace. 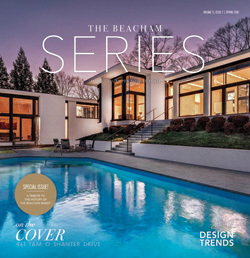 Learn more about Buckhead, and see homes for sale.